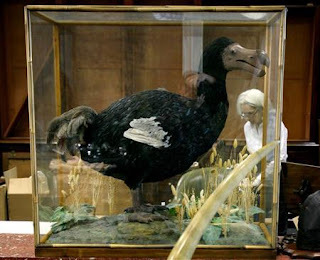 Animal Wildlife | Dodo | The dodo was a medium-large sized flightless bird that was discovered on the Island of Mauritius in the 1590s and was declared extinct less than a century later, in 1681. Despite the turkey-sized body of the dodo, it is thought to have been most closely related to smaller birds such as doves and pigeons. The dodo inhabited the tropical forests on the tiny island of Mauritius that is situated in the Indian Ocean. Like the neighbouring island of Madagascar, Mauritius broke away from the African continent when the land first split, causing it's wildlife to be extremely unique and the dodo is no exception. 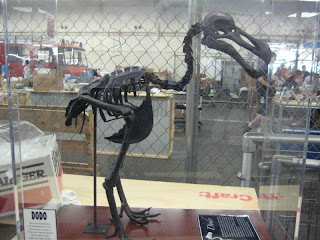 The dodo had a large body, stubby wings, a small, curved tail, short legs, and a large beak. The feathers of the dodo were grey, black and white in colour and the large curved beak of the dodo is one of it's most distinctive features. 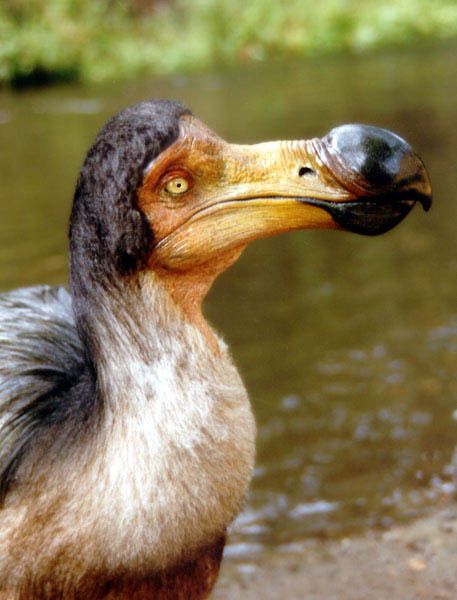 The dodo is a large sized bird that adapted to a life without large ground-dwelling predators, which led to the dodo to behave quite unusually for a bird. Despite having wings, the dodo was unable to fly as they were quite too small and weak to support the rounded body of the dodo. 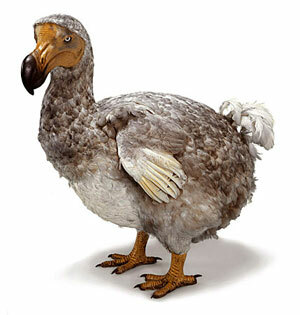 The dodo was also known to have been fearless of the European invaders which ultimately led to the demise of the species. The dodo ate ripe fruit that fell to the ground, eating the fruit of the Tambalacoque tree (which is often called the dodo tree). This long-living tree is now in danger of extinction since it depended on the dodo for its own reproduction; its seed can only germinate (sprout) after going through the digestive system of the dodo (the seed has a very thick coating). In it's native forests on the island of Mauritius, the dodo had no natural predators until humans landed at the end of the 16th century. 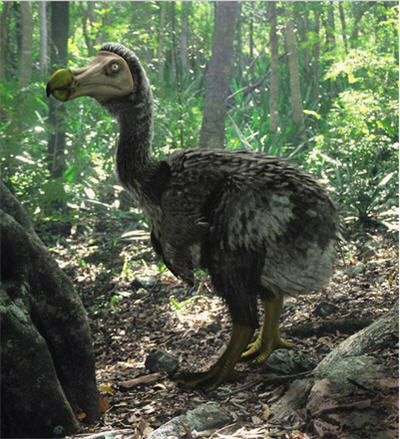 But it wasn't just the humans that hunted this friendly and docile bird, the dodo along with their nests where hunted by the animals that humans brought with them including dogs, cats and monkeys. Due to a lack of natural predators, the dodo evolved to making it's nest on the ground where the female dodo would lay a single egg. The incubation period of the dodo egg is estimated to be between 4 and 6 weeks, when the dodo chick would hatch and be reared by it's mother before becoming independent as it grew older. The dodo was probably thriving on the tiny, safe-haven of Mauritius before it was taken over by European settlers who hunted and ate the dodo, exploiting it's naturally fearless nature. The animals brought along to the island often ransacked the dodo's vulnerable nests, leading to the extinction of the entire species in just over 80 years of human contact.